At Arlington Pediatric Dentistry, we strive to provide high quality dental care to children in the Arlington area while maintaining a fun, friendly, and welcoming office environment. Our doctors and highly trained team of pediatric dental specialists work hard to design personalized treatment plans that perfectly suit each patient's unique dental needs, and make every patient feel at home each time they come to the office. With years of experience treating kids in the Arlington area, we have the skills and the knowledge to make very visit a pleasant experience for all involved - even the youngest ones! By far, the most common place for a cavity in your child's mouth is the chewing surfaces of the rear molars. Why? It's not hard to figure out: just run your teeth over your molars and feel the rough, uneven chewing surfaces. These are filled with nooks, crannies, and crevices that make ideal hiding spots for bacteria and hot spots for dental decay. These areas are difficult to clean with a tooth brush, and a child's newly erupted permanent teeth aren't as resistant to decay as an adult's teeth – creating the perfect storm for causing cavities! Thankfully, there's an exciting new solution that's extremely effective in preventing cavities in children's rear molars: dental sealants. These are thin, invisible coatings of resin applied to teeth that smooth out and seal off the chewing surfaces of the back teeth, making them far more resistant to decay, less likely to develop painful cavities, and less likely to need expensive procedures. First we’ll examine the tooth and remove any existing decay. Next, we'll clean and dry the tooth. 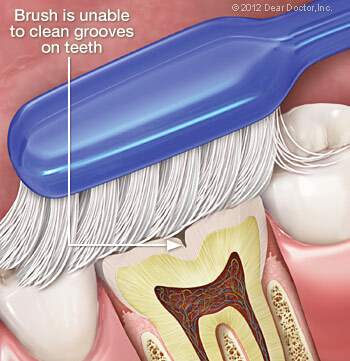 We'll apply a solution to subtly roughen up the tooth surface, allowing the sealant to adhere better. We'll dry and rinse the tooth once more. Finally, we'll paint on the sealant, which, with the help of a curing light, will harden within a minute. A small note on BPA: a 2012 study that got a lot of press coverage raised concerns over trace amounts of bisphenol-A (BPA) found in some (but not all) of the resins used in sealants that might cause behavioral problems in children. The authors noted that while they had found an association, they hadn't actually proven that BPA in sealants causes any problems - and in fact, BPA is much more prevalent in food and beverage packaging than in dental materials. Since then, the American Academy of Pediatric Dentistry and the American Dental Association have reaffirmed their support for sealants as a safe, effective way to prevent cavities. As always, we're more than happy to answer any questions you have on the subject. 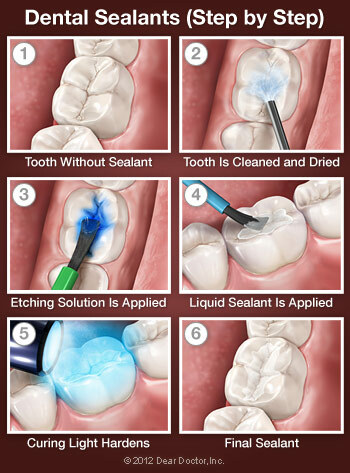 While more protected, sealed teeth still require the same conscientious hygiene as unsealed teeth. Your child should still brush and floss daily, and continue visiting us for regular professional cleanings. During these appointments, we'll check on the sealants, which will last up to 10 years. With sealants, your child will experience up to 70% less tooth decay than if they hadn't had the procedure! 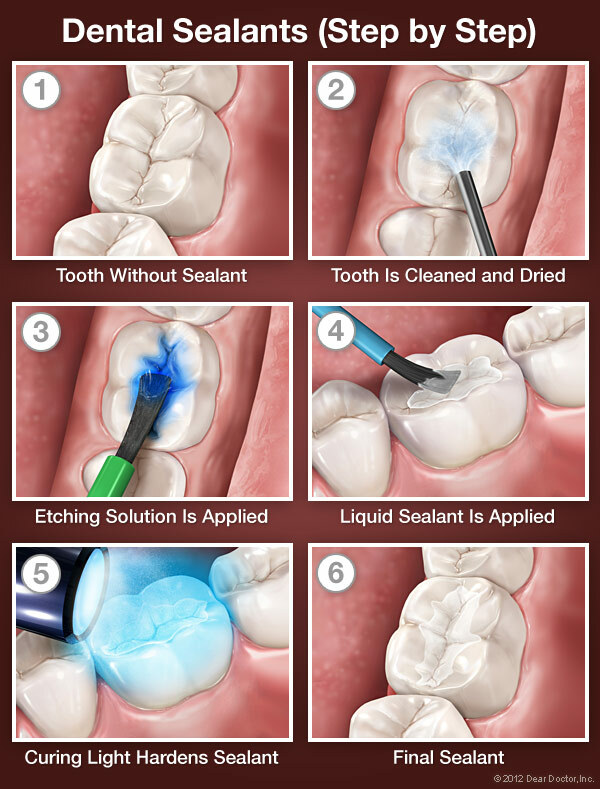 Have more questions about sealants or want to come in for a consultation? We're happy to help! Feel free to call us at 703-671-5437, reach out to us at our contact page, or use our easy online form to schedule an appointment at our Arlington, VA office. We can't wait to hear from you, and we look forward to helping your child achieve a beautiful, healthy, lifelong smile.